For different applications, we offer displays in various designs, equipment and sizes. 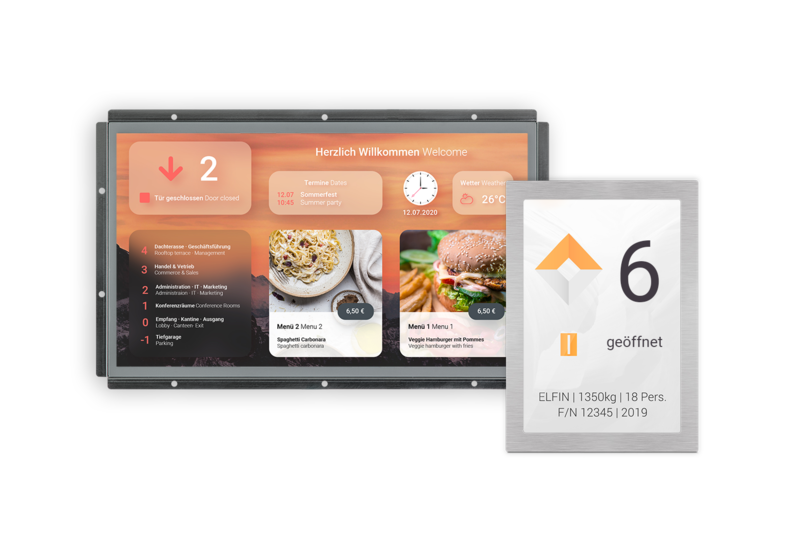 Our DM-Line touch displays can be used both in the elevator car and in the floors for various applications. Our displays of the LT-Line can be used both in the elevator car and in the floors for various applications. The touch monitors of the CEF-Line are designed for front mounting. Usually they are used for retrofitting. 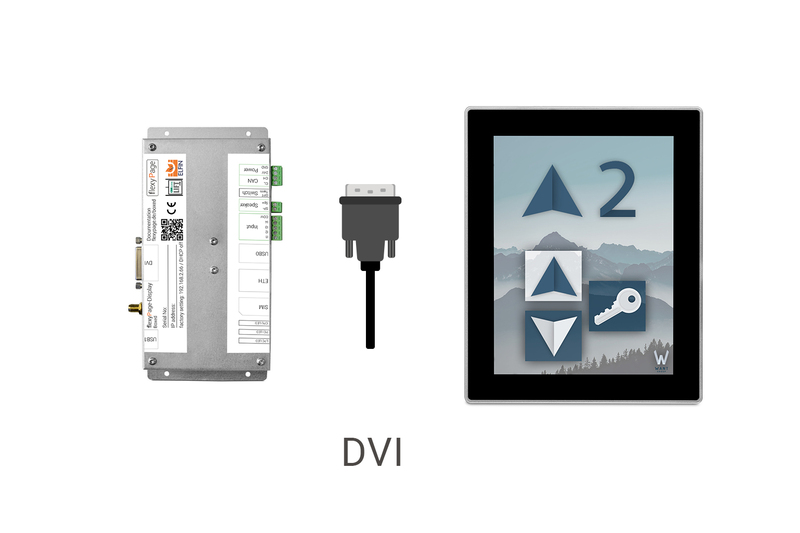 If a commercial flat screen, TV, an industrial monitor, a digital signage monitor or an outdoor display is to be used as the monitor, we also offer the flexyPage controller in the Boxed version. The extraordinary format of stretched multimedia displays for elevators offers many new uses in elevators and in the floors - used horizontally and vertically. 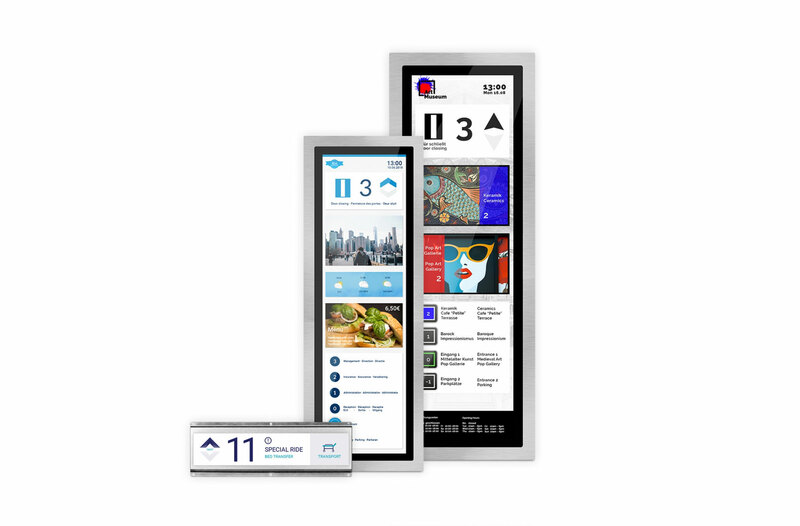 The mirror displays or magic mirror displays are increasingly being used - sometimes as touch screens - because they combine two useful functions: those of a mirror and those of a screen for displaying information, thus forming a meaningful design element in an elevator. More and more often destination dispatch systems can be found in modern elevators. Especially in buildings with a high user traffic, the use of destination dispatch systems offers a lot of advantages. 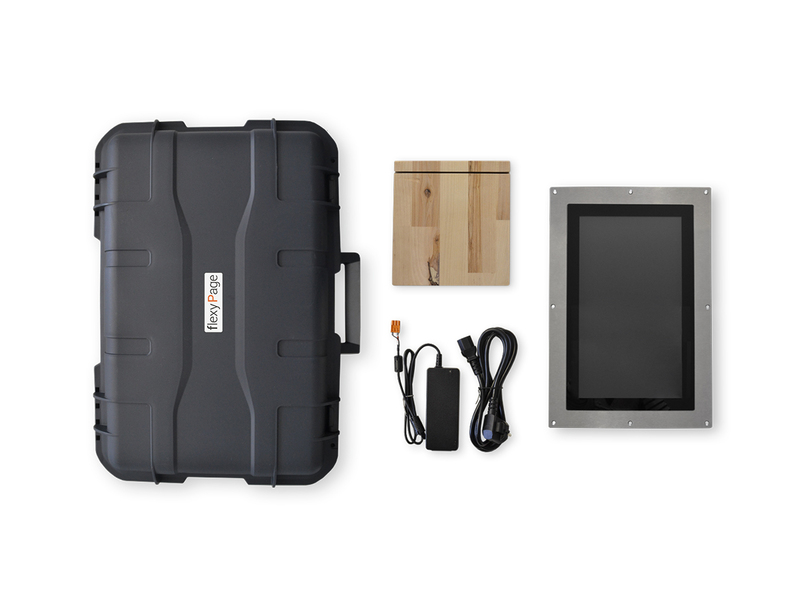 Our demo case includes a DM-Line 15.6 touch display that can be configured via WiFi. With the help of this demo kit, you can easily test functions and get an impression of the easy operation and the possibilities of the flexyPage system. Do you want to know more about the installation of flexyPage displays?